You can easily add a translation to your survey by using the CheckMarket translation file. Before proceeding with the following steps, make sure you have added all languages to your survey. Adding translations to the translation file. Sign-in to your CheckMarket account. Click on the Surveys tab. Click on Settings and then click on Languages . Click on the button Export translation file. The file will automatically be saved to your default downloads folder. You can change this location via your personal browser settings. Now you’re ready to start translating. Your survey will be locked once you export a translation file. In order to unlock you survey, simply click on Cancel translation. This button appears as soon as you have exported a file. Keep in mind that you’ll have to export a new translation file in this case, in order to be sure you have the most recent version. Open the exported Excel file. 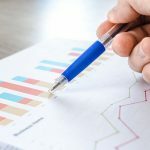 This file contains the title of your survey, the Survey ID, a column containing the Question IDs, a column containing the Response IDs, and after that a column per language containing all of the questions and answer options that you had already provided. Caution! 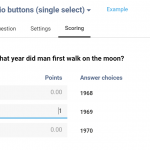 Do not change the Survey ID or the values in the columns containing the Question and Response IDs (columns A and B). Add the translation to the corresponding cells. Caution! All HTML code present in the existing questions and answer options must be copied to the translations to ensure the correct lay-out of your questions and answers. Caution! Before you start importing the Excel file, you must close this file on your computer. Click on Settings and then click on Languages. Click the button Import translation file. Select the translation file that you have saved on your computer. Make sure this is a .xlsx file. Click on Import translation file. 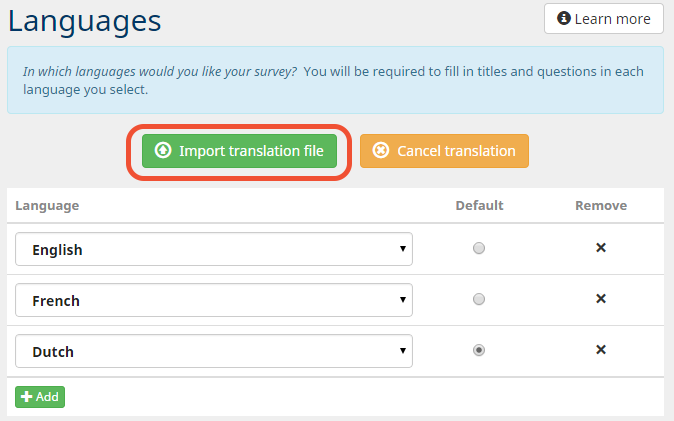 After the translations have been imported, you can still make changes to your survey via the Edit page. You can easily switch between languages by clicking the Actions tab and selecting your language from the drop-down menu. In which languages can I distribute my survey? Can I add or remove a language from my survey? Just a quick question on the translation. 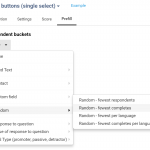 Do we have to have the survey translated into the desired language(s) before exporting the file or does CheckMarket translate the survey in to a variety of languages with the click of a button? hi Shannen, thanks for reaching out! 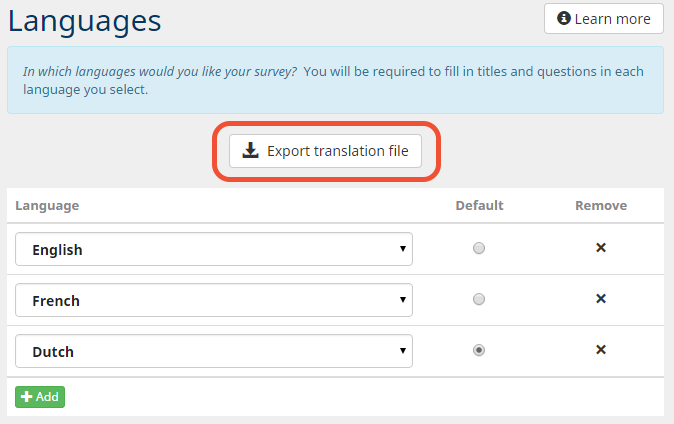 Well, you don’t have to have the survey translated before exporting the file, but you will need to translate the different questions and texts yourself at some point in time. Our system takes care of the standard messages that are used in our system, such as ‘you forgot to answer a question’ and the ‘next’ and ‘previous’ buttons. The rest is up to you. You can, of course, also send the translation file over to a translation company. They can do the translations immediately within the file so all you have to do is import it again.